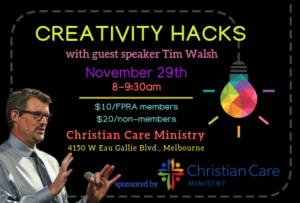 Join author, game designer and filmmaker, Tim Walsh of The Playmakers, as he shares ways to hack the creativity curve. Tim moves successfully across multiple creative fields, while connecting people in playful and powerful ways. He will share ideas from Right Brain Red, the book he wrote with Reyn Guyer. 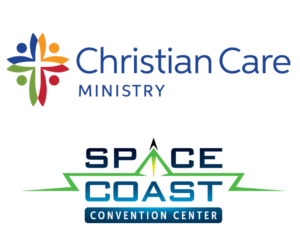 Thank you to our generous sponsors Christian Care Ministry and Space Coast Convention Center!